Today, terror attacks, active shooter incidents, natural and manmade critical and immediate threat incidents are at the top of everyone’s mind in America. Hard pressed to make it through a day without media outlets describing graphic details of the most recent ‘active shooter’ or other emergency event, fear of these threats are real, pervasive and debilitating, leaving countless American’s encumbered by uncertainty and fear. On average it takes 6-8 minutes for law enforcement to arrive on the scene and by then much of the damage has already been done. Developing a preparedness mindset is a foundation for understanding what happens when an ordinary day turns into an extraordinary one, and identifies the decisions that need to be made, including what to do when law enforcement arrives. Active threats can and do happen where we work, where we learn, where we worship, where we serve and where we play. Active Threat Readiness (ATR) training educates, engages and empowers individuals to recognize threats, act without hesitation and replace fear with confidence. 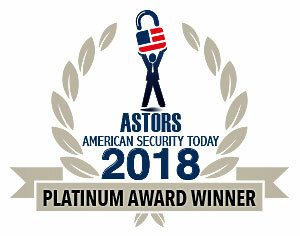 Kiernan Group Holdings, a Platinum Award Winner in the 2018 ‘ASTORS’ Homeland Security Awards Program for Best Homeland Security Education Program, believes that individuals are always the initial responders in a catastrophic event and can and should be better prepared to change the outcome – when an ordinary day turns into an extraordinary one. KGH’s Preparedness Without Paranoia® approach provides education and training for individuals to gain a heightened situational awareness and understanding of today’s multidimensional threat environment, recognize telltale signs of an evolving threat, and become empowered to take effective action without hesitation. By replacing confusion with clarity, KGH training prepares participants and organizations to mitigate the unseen costs of what has become a national crisis-immeasurable health, social, and economic consequences. The approach is non-tactical by design. It is complementary to the tactical concepts and operations employed by first responders. Those brave men and women who deliberately run towards danger not away. The Preparedness Without Paranoia® approach prepares individuals for the spectrum of active threats faced in public and social environments and equips them with the confidence to Prepare, Respond, and Recover in these situations. KGH’s Preparedness Without Paranoia® approach fosters an educated, engaged, and resilient public. Kathleen L. Kiernan, Ed.D., is the CEO & Founder of Kiernan Group Holdings, Inc., where she oversees KGH’s work as an intelligence, law-enforcement and national security consulting, training and problem-solving firm that provides tailored solutions to today’s most complex challenges. She has innovated the concept of Preparedness Without Paranoia™, which is predicated on the fact that understanding the modern threat environment does not have to be an intimidating or overwhelming task. “I developed Preparedness Without Paranoia (PWP) because violence is no longer a rarity nor confined to any type or place of business,” explains Dr. Kathleen Kiernan, Chief Executive Officer of Kiernan Group Holdings (KGH), and a 29 year veteran of federal law enforcement with the ATF. Active threat incidents can happen anywhere, to anyone, at any time: where we work, where we serve, where we learn, where we worship, and even where we play, as evidenced by the grievous attacks in mass gathering venues where families go to relax and be entertained. The second and third order effects on society are incalculable from a human suffering perspective, as families never fully heal. From a socioeconomic perspective, the impacts on commerce resonate across the critical infrastructure community in terms of the hotel and travel industry, long-term health care, job loss and an undercurrent of uncertainty when making decisions on personal and corporate security. Perspectives on security have shifted as the routine assumptions that a military base or other “hard target” would preclude the opportunity for an assailant to gain access, as we have painfully learned, is no longer viable. Mitigating this evolving threat environment from a citizen/practitioner level through education on preparedness of both individuals and organizations is at the core of KGH’s business model. KGH expects to see more hybrid-type attacks like those using vehicles that are re-purposed into weapons as well as a new hybrid warfare which employs multiple weapon systems to include a combination of physical and cyber-attacks. Firearms, improvised explosive devices (IEDs) and knives have long been the weapons of choice for terrorists, but in what has become their latest warfare tactic motor vehicles are being weaponized as their instruments of attack against pedestrians. While this tactic has long been used in conflict zones such as in the Middle East and elsewhere), it is relatively new in the West, including the United States. During the 2016 – 2017 period, for example, in Western Europe, the United States, and Canada, based on a rough estimate, 12 of the 27 multiple-casualty terrorist attacks, in which two or more casualties were inflicted, have employed trucks, vans or cars that are intentionally driven into public crowds, sometimes over long stretches before the attacks are terminated, usually through crashes. At times, the attackers’ violence continues when they flee their vehicles and inflict further damage on pedestrians, using hand-held weapons. The KGH team continues to monitor, research, and analyze vehicle ramming and other emerging hybrid scenarios and platforms to identify the adversarial technology adaptation cycle. Understanding the tactics, techniques and procedures (TTP’s) used by active assailants results in state of practice training and services for our clients. Often, the means to an attack include the adversarial exploitation of routine behavior and process when expectations of threats are low, for instance, attending an open-air event or riding a bicycle on a city street. “These are precisely the kinds of threats that are often hidden in plain sight, invisible to the untrained eye,” says Dr. Kiernan. “When individuals are prepared, they are also confident and capable of responding quickly and appropriately; if they have planned, practiced and, most importantly, accepted the fact that violence can occur anywhere, they will know how to respond,” says Dr. Kiernan. “Security is now a personal responsibility” explains Dr. Kiernan. KGH specializes in training organizations to develop a capable and confident workforce that can recognize behavioral indicators of individuals who may be on the pathway to violence. The historical reliance on calling 9-1-1 and waiting for first responders to arrive is no longer a viable singular option. First responders (law enforcement, fire, EMTs) take, on average, 8 to 10 minutes to arrive to an active threat scene. That 8 to 10 minutes is an eternity if you are in the pathway of an individual on a rampage. Those crucial first minutes of the attack may well determine who survives and who does not. Often, by the time the first responders arrive at the scene, the assailant will have already achieved his or her objective and either committed suicide, or staged for the final confrontation with law enforcement. What this means is that the average citizen is now the initial responder; that survivability from a violent attack could depend on the preparedness, confidence and capabilities of one’s coworkers, employees, co-worshippers and or until that time, strangers in public venues who have consciously prepared for an event. Awareness: The Ability to recognize potential threats before they happen, and see risk factors the may lead to a dangerous incident or violent attack. Preparedness: Comprehensive planning and rehearsal for threats posed by fire, natural disasters, active shooters or other instances of danger or violence. Response: A series of actions taken by organizations and individuals in response to an ongoing active threat with the intent of saving lives and ending the threat. Recovery: Arange of actions post event including medical care, work environment changes, change in response planning, temporary relocation during restoration, and organizational and community support in the process of healing. KGH is continually adding research to the PWP approach, such as their Minor Visions program which focuses on our youngest and most vulnerable segment of the population. Dr. Kiernan is proud of the fact that the company, founded in 2009 was built by practitioners for practitioners, who are mission focused, and share a common drive of public service. “I think she is exactly right,” said Kiernan. Preparedness Without Paranoia® Seminars are offered to organizations and corporations as on-location presentations, as well as via webinar and podcast. Working guides are also available for purchase. The program is specifically designed to honor distinguished government and vendor solutions that deliver enhanced value, benefit and intelligence to end users in a variety of government, homeland security, enterprise, and public safety vertical markets. “As the nation continues to respond to escalating threats from home and abroad, the innovative solutions being implemented to meet those threats, has led to tremendous growth in the field of Homeland Security,” said Michael Madsen, co-founder and publisher of American Security. 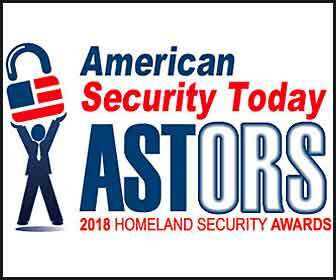 Be on the lookout for the upcoming 2018 American Security Today ‘ASTORS’ Champions Edition for in-depth coverage of the outstanding agencies and companies that received American Security Today’s 2018 ‘ASTORS’ Homeland Security Awards.